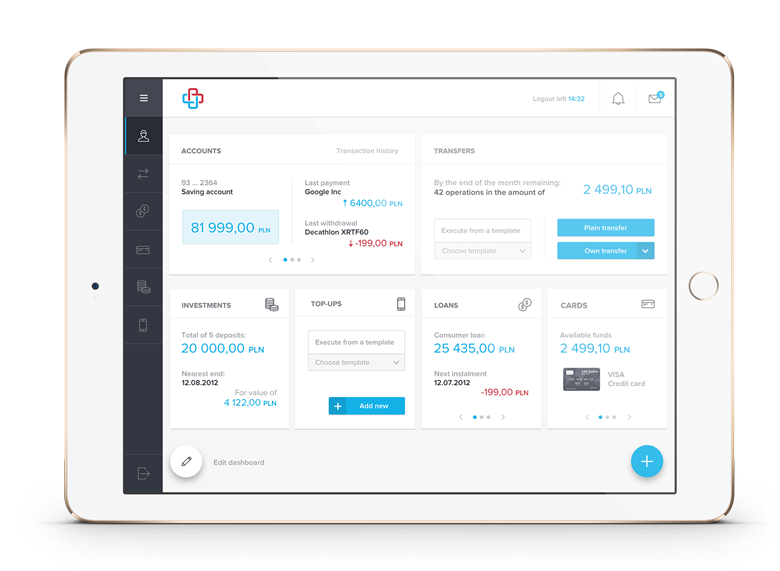 Omnichannel platform for Internet and mobile banking. Flexibility and customization through a system of Mini-applications. Asseco Customer Banking Platform has been awarded a title and the 'Hit Roku 2016' ('Success of the Year 2016') recommendation in the technological competition organized by Gazeta Bankowa. Tauron Customer Support has been awarded second prize in the 'Lider Roku 2015' ('Leader in 2015') category within the energy, fuel and chemicals sector for the centralization of billing systems for mass clients. 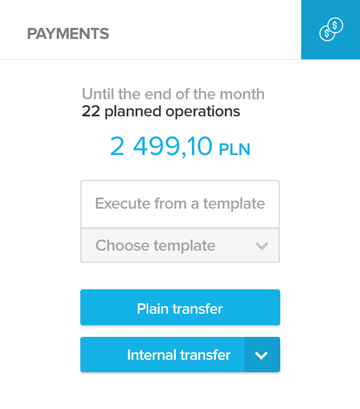 In this project the company implemented the Asseco Utility Management Solutions system, in co-operation with Asseco Poland. The aim of the competition is to highlight the most innovative products and solutions within the IT sector. The award ceremony was held in Warsaw during the 'Techno Business' gala on April 14, 2016. Adam Góral, the CEO of Asseco Poland, was interviewed shortly before the presentation of prizes and shared his thoughts and insights on the Polish economy with the participants. Gala crowned a full-day conference opened by the minister of digital affairs Mrs Anna Strężyńska who announced that by 2020 the map of Poland should consist of no 'white spots', i.e. places without access to the Internet. Three debates, divided into the following subject areas, were held during the event: banking and finance; energy, fuel, chemicals; and information technology, the Internet, telecommunications, medicine and pharmaceuticals, transport and logistics. The honorary patronage over the event was taken by, among others, the Ministry of Digital Affairs, the Ministry of Economic Development, and the Warsaw Stock Exchange. 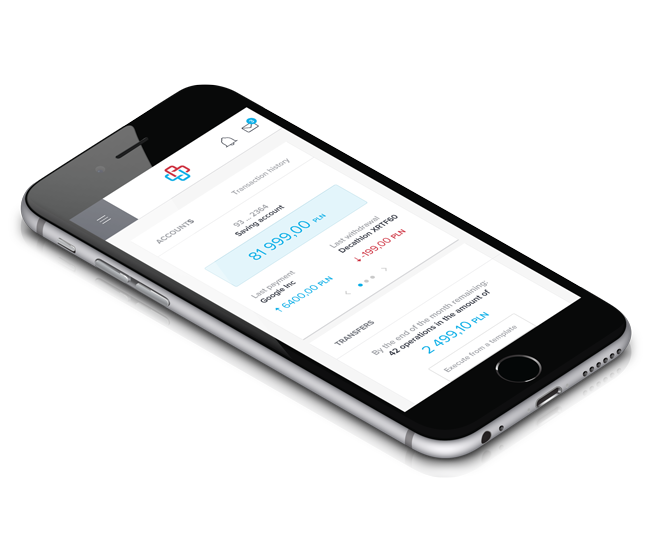 The award-winning Asseco Customer Banking Platform is a unique solution for Internet and mobile banking. It is based on a Platform that allows customers to access business products and services via the Internet. 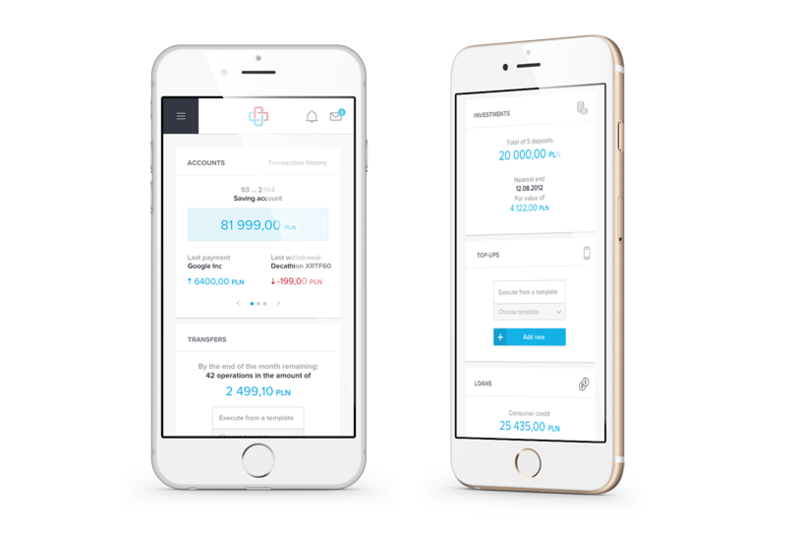 Owing to the innovative mini-applications ecosystem concept, it allows free and swift development of both Internet and mobile banking products and services offered to customers. Asseco CBP. Future of banking creating today. 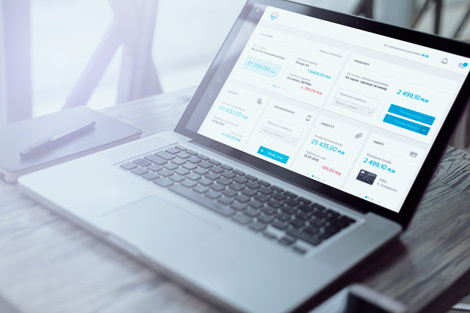 Asseco Customer Banking Platform is a unique solution for online and mobile banking designed for the modern customer of the bank - its individual needs and preferences. 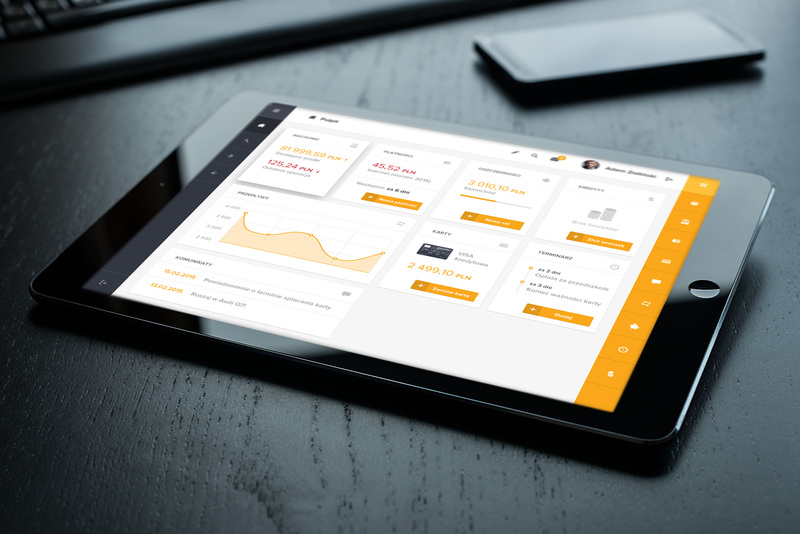 Based on an innovative ecosystem of mini-applications, Asseco CBP allows for easy and extremely fast development of banking products and services to be offered to customers via the platform of online and mobile banking, both at the same time. Banks now face the challenge of satisfying diverse and often contradictory needs of their clients-users. 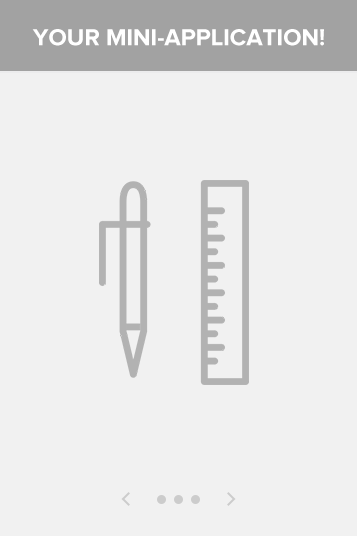 Why implement Asseco CBP ? An innovative approach to designing the look of the system: from the smartphone via tablet to your computer. One interface for all devices. 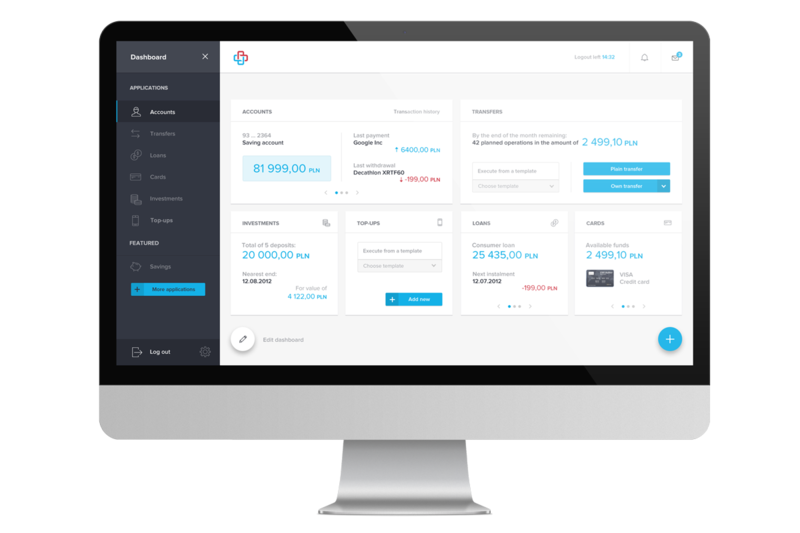 The fastest way to present new financial offers to customers across all channels, without creating complex applications. User-client of the system may select and configure an individual set of mini-applications to match his or her exact needs. Asseco CBP. Benefits for banks. 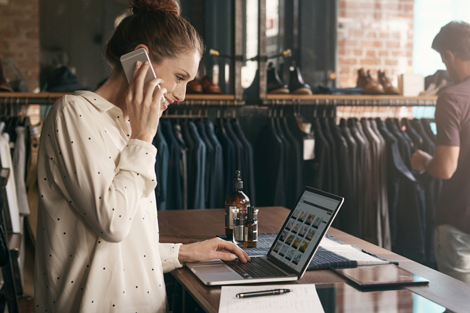 Asseco CBP creates an omnichannel environment for the provision of banking products and services. The bank can boost its operational efficiency by implementing a client self-service approach to complex banking products, which used to be the exclusive domain of bank branches. As customers are involved in the service, the bank’s operational processes can be optimized and automated, contributing to further efficiency increases across the entire organization. Asseco CBP provides banks with unlimited possibilities of offering their products and services through online and mobile channels simultaneously. 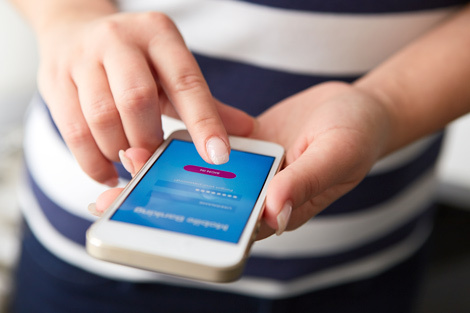 All banking functions, such as reviewing of accounts, money transfers, financial management, etc., can be arranged in the form of mini-applications to be presented in a variety of ways and provided in parallel to particular segments of customers, while matching their preferences and specific needs. Asseco CBP does not impose the manner in which the bank should serve its users-clients. Asseco CBP enables the bank to treat each of its users-clients individually. Thanks to the concept of mini-applications and open architecture of the platform, Asseco CBP makes it possible to significantly reduce the time required to prepare new products and services and make them available to the bank’s clients. Furthermore, the system of mini-applications applied in Asseco CBP offers unlimited possibilities to choose their providers. 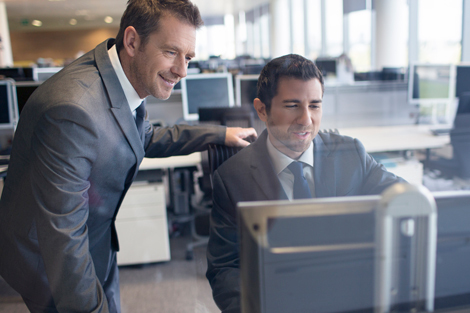 Mini-applications can be developed concurrently by independent teams of the bank’s own specialists or external vendors. 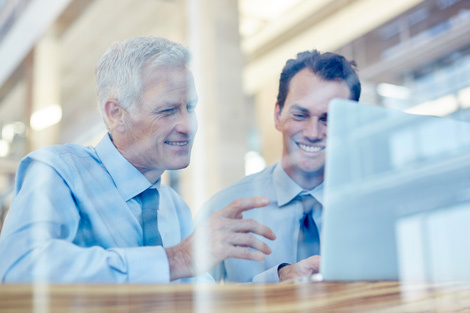 Additional mini-applications can be incorporated into Asseco CBP at any time and without having to power down the system. 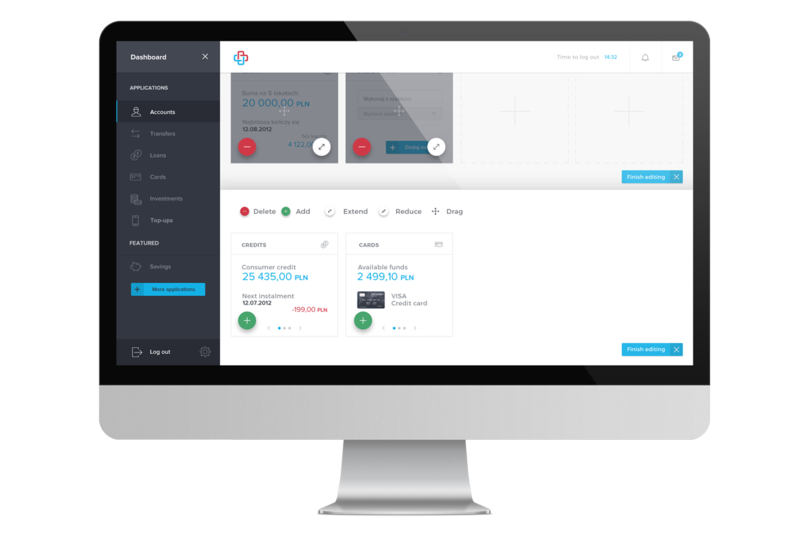 During the implementation phase, the access to new mini-applications can be limited to a specially selected group of users-clients for testing purposes. Thus, Asseco CBP allows for the most flexible and secure implementation of modifications in the e-banking system. Asseco CBP is equipped with mechanisms for the implementation of client-specific branding, which can be particularly useful for financial institutions that apply diversified brands. 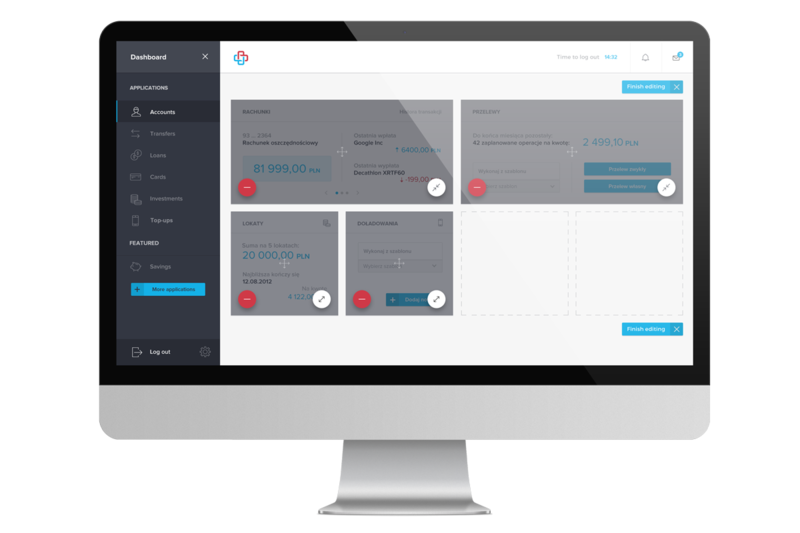 The system design provides logical support for multiple banks in one physical instance of the system, ensuring the possibility to configure different sets of mini-applications dedicated to individual banks, as well as diverse visual layouts. This feature also enables the outsourcing of services, which can be implemented by both the software vendor and the bank in relation to its subordinate organizational units. for selling products and services. One of the key features that distinguish Asseco CBP from other online and mobile banking systems is its versatile and multidimensional structure accessible both to clients and the bank. The open architecture of Asseco CBP enables the bank to freely expand the catalog of mini-applications as well as to integrate any supplementary products and services. Such new products and services can be added as part of additional mini-applications to be created by miscellaneous developers and provided within one coherent system on the platform of Asseco CBP. Unlimited areas for the use of mini-applications. Clients are given complete freedom to change and manage their mini-applications. Depending on individual needs, they can select the best application for him. 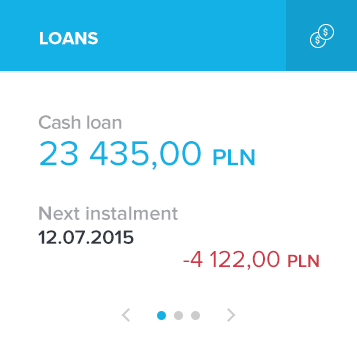 Bank adjusts the look and feel of mini-applications to customer profiles. At any time, both the bank and user have full control over their banking. Intuitive monitoring of balances on any accounts held at the bank, including current, savings, foreign currency accounts, etc. Information on blocked funds, etc. The “Accounts” mini-application enables the Client to view the list of his/her active bank accounts. When a particular account is selected, the system will display the name, number and financial balance of the account. 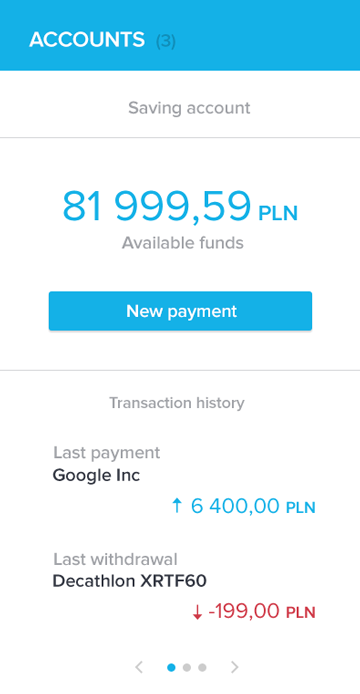 This mini-application allows to order a money transfer from the selected account by using the “Payments” functionality. Here the Client can also view the history of operations conducted in the current account. The presented information includes the booking date, amount (stated in the account’s currency) and description of each transaction. The list of operations can be filtered and searched according to the user-specified criteria. 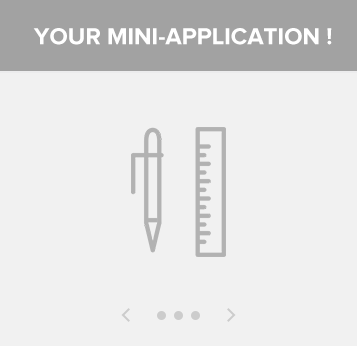 Design and define Your own profiled Mini-applications and add it to Asseco CBP. Unlimited freedom in shaping and defining customer groups and the appearance of applications for individual user profiles. 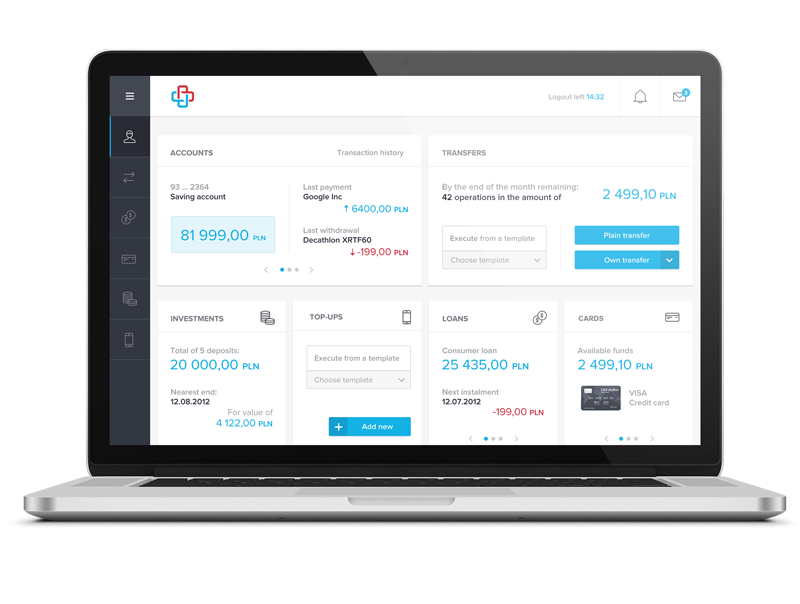 The “Payments” mini-application enables the Client to order a domestic money transfer (Elixir), transfer funds to another own account, make a European payment (SEPA) or an international payment (SWIFT) to any beneficiary or a predefined beneficiary, or using a payment template.The system can display the list of pending payments (including any standing orders), allowing to access their details.The mini-application presents a summary of payments, including their number, total amount and currencies, as well as the date of the next payment. 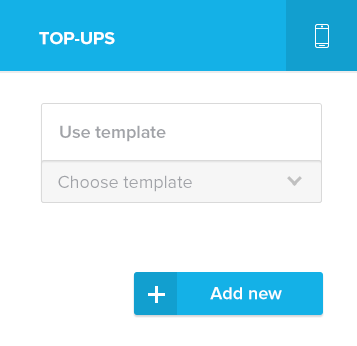 The “Top-ups” mini-application enables the Client to place an order to top up a prepaid mobile phone, allowing to specify the phone number or apply a previously saved template.All the completed top-up orders can be reviewed, including the phone numbers and top-up amounts. 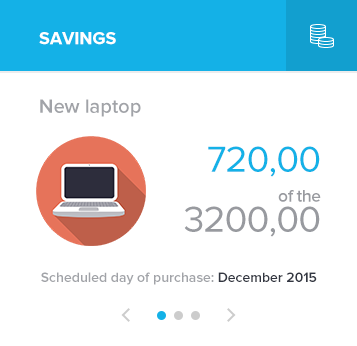 The “Savings” mini-application provides a visual presentation of the Client’s savings and enables their monitoring. When a target savings account is selected, the system will display the target of savings, amount planned to be saved and already saved, as well as the target completion degree. 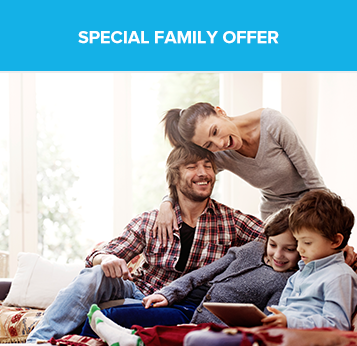 Here one can also set up a new savings target and make additional payments to an existing savings account. The “Cash deposits” mini-application presents a list of cash deposits held by the Client, including the product name, amount and account number. The Client may also view the tables of interest rates paid on deposits, which are located on an external webpage. This mini-application allows to make a new cash deposit or terminate an existing one. 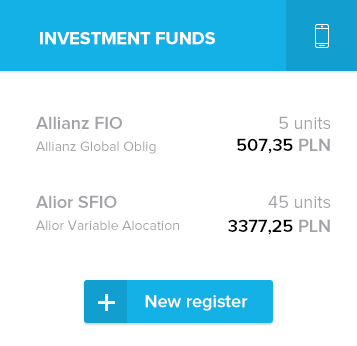 The “Investment funds” mini-application allows to check up the Bank’s offering of investment funds. It presents information on investment fund positions held by the Client, including the position name, value and currency, and the quantity of fund units held. Here one can also open a new position (first acquisition) or place an order to purchase, convert or redeem any fund units recorded within an existing position. This mini-application provides access to both current and historical valuations of investment fund positions, and presents the complete history of executed transactions. 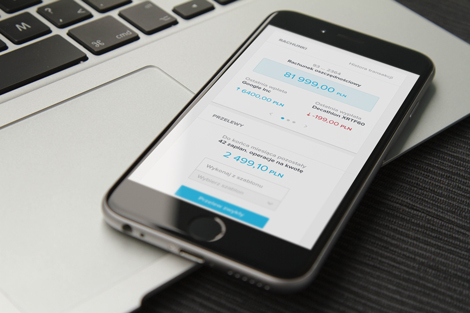 The “Loans” mini-application enables the Client to view the list of his/her bank loans.When a particular loan is selected, the system will display the name and outstanding amount of the loan, as well as the due date and amount of the next instalment.This mini-application also allows to look up the loan repayment schedule.The presented information includes the due dates and amounts of all outstanding instalments (stated as a total as well as in a breakdown to the amount of principal and interest). The “Cards” mini-application enables browsing through the list of credit, debit and charge cards held by the Client. When a particular card is selected, the system will display the name, holder as well as partially masked number of the card. Information presented for credit cards includes the card limit and available amount (main card) or just the card limit (additional card). 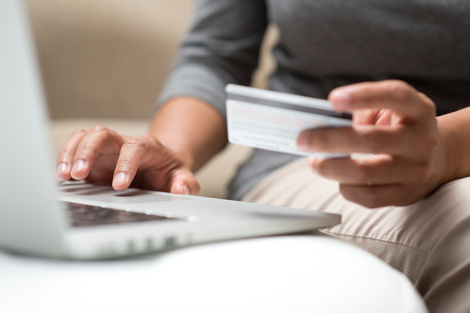 For debit cards, the system displays just the limit of daily withdrawals/payments. Whereas, information presented for charge cards includes the current cycle debt and the card limit. 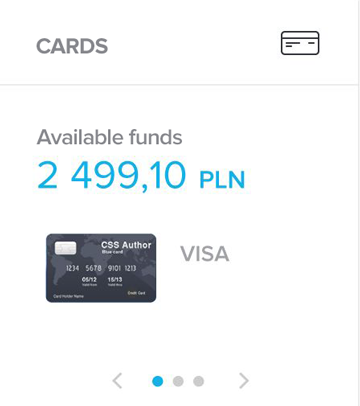 The “Cards” mini-application enables browsing through the list of credit, debit and charge cards held by the Client.When a particular card is selected, the system will display the name, holder as well as partially masked number of the card.Information presented for credit cards includes the card limit and available amount (main card) or just the card limit (additional card).For debit cards, the system displays just the limit of daily withdrawals/payments.Whereas, information presented for charge cards includes the current cycle debt and the card limit. 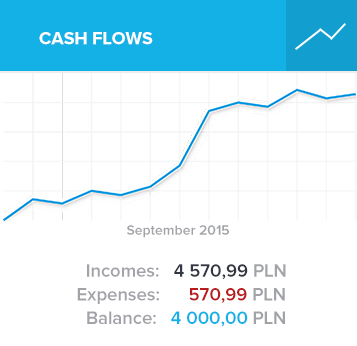 The “Cash flows” mini-application provides aggregate information on the balance of cash flows in the last month. Such summary contains all cash flows recorded in the Client’s current and currency accounts.It presents the difference between cash inflows and outflows as well as additional information in a breakdown by type of income and expenditure. The statement of cash flows is generated for each currency separately. 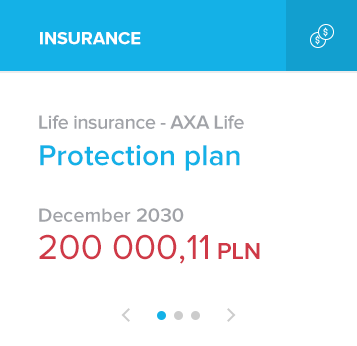 The “Insurance” mini-application enables the Client to look through the list and details of concluded insurance contracts.The displayed information includes the policy name and type, as well as the effective date and amount of insurance coverage.The presented product offering makes it possible to choose and buy a new insurance policy. 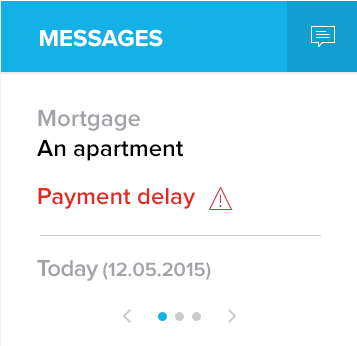 The “Messages” mini-application allows to view any messages sent by the Bank as well as system notifications about the rejection of any orders placed in the Client’s accounts.The presented information includes the topic, date and category of a message.This single panel provides all types of information exchanged with the Client, including messages sent by the Bank employees to all customers or individual customer, as well as system notifications of any rejected orders.All new messages are marked as unread. 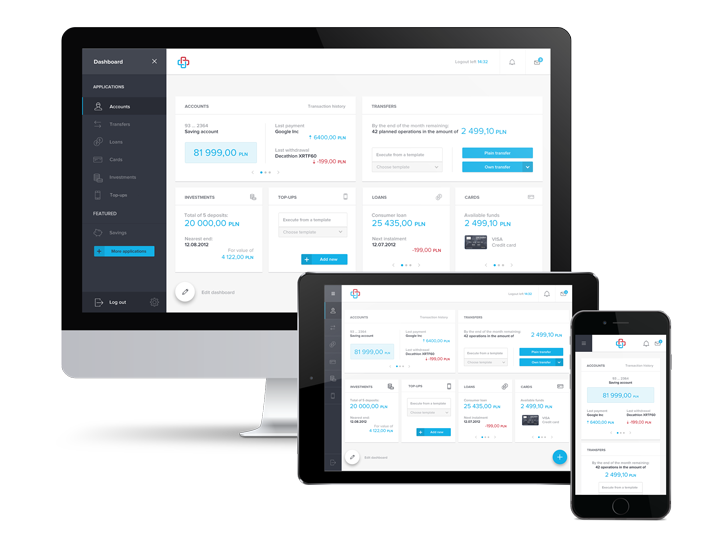 The “Banner” mini-application presents the Bank’s product offerings, including those customized for a specific Client.The Bank is given the possibility to determine and block the location of this mini-application, so it can be available directly from the user desktop or present information on the Bank’s products and services within other mini-applications. 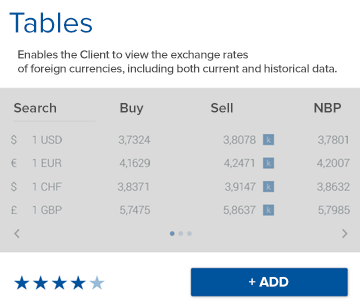 The “Tables” mini-application enables the Client to view the exchange rates of foreign currencies, including both current and historical data. The presented information includes the country and symbol of each currency, conversion factor, buy and sell rates, as well as the mid exchange rate published by the central bank. Clients are given complete freedom to change and manage their mini-applications. Depending on individual needs, they can select and delete mini-applications and rearrange the Desktop layout. Hence, the clients have unlimited ability to manage their banking services. Whereas, the bank gains flexibility in offering its products to a selected category of clients, without restricting their freedom of choice. Asseco CBP - era of user in banking ! Any questions? We have all answers. Leave us Your contact data. We will contact you and present all needed information about Asseco CBP. I hereby agree to be contacted and receive business materials via email by Asseco Poland S.A. Please provide us with your contact information so that we can send you a direct link to download the Asseco CBP brochure.